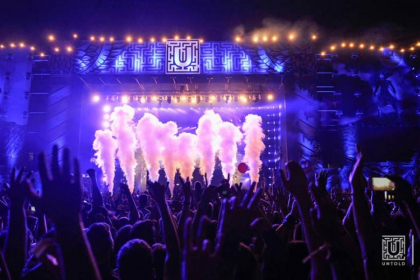 More than 70,000 people packed the venue of the Untold festival in Cluj-Napoca on August 4, the first day of the event, organisers said. Tickets sold out in less than eight hours, they said in a release. The artists who performed on the first evening said they were impressed with the crowd of fans, and also with the mainstage of the Untold Ursus Arena. Back to Romania for the first time since they resumed their musical activity, British band Faithless — frontman Maxi Jazz and keyboardist Sister Bliss — confessed in a press conference that the stage full of magic had amazed them. 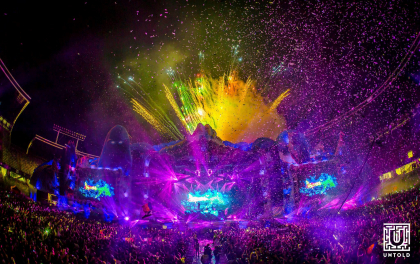 The mainstage is incredible, full of magic, the two said of the 28m high and 120m wide stage. We believe in magical things, the show wouldn't be complete without magic. We like Romania because people are warm and full of life, said the two Faithless band members. Their act in Cluj, 'Faithless 2.0', had an impressive production requiring two trucks full of technical equipment and stage gear. Dutch DJ and music producer Fedde Le Grand had been looking forward to returning to Cluj-Napoca. The artist also performed at the first edition of the Untold festival and last year he included the Cluj show in a video presentation of his 2015 tours. I liked last year's experience a lot, the audience was incredible and the stage was extraordinary. From backstage to the show, everything combined in perfect harmony, one couldn't have wanted more as an artist. It's great to be here among the headliners, I waited all day to take to the stage. I had a very good time last year, but this year was incredible, said the artist.